James started riding at the age of four and began racing two years later in trials races. His road racing career started when he was seventeen and he soon moved into the Virgin Mobile R6 Cup where he finished fourth in 2004. Subsequent seasons saw him compete in both the British Supersport and British Superstock 1000 Championships scoring numerous top ten positions. The Hampshire rider’s first TT appearance came in 2008 at the age of 23, where he competed in the two Supersport races for Jackson Racing, finishing 19th in the first four lap race and improving to 17th in the second. The two results saw him not only lap at more than 119mph and win two silver replicas but also win the coveted Newcomers Trophy. Later that year, he finished second in the Dundrod 150 National race, and his results in his first year on the roads certainly got the heads of leading sponsors turning. When talking to riders it becomes clear that winning a TT is the pinnacle and aim for every rider. James is lucky enough to have one to his name, winning the Lightweight TT in 2013. Having improved his results since his debut year, he soon established himself as a regular top ten finisher and having taken his first podium in 2012, the following year saw him take victory in the Lightweight ahead of runner-up Dean Harrison by over 27 seconds, which is the highlight of Jamie’s career to date. As well as taking five successive podiums in the Lightweight class – one win and four seconds – James has also stood on the rostrum a further five time – Supersport (2), Superbike (1), Senior (1) and Superstock (1). Indeed, he’s finished second on no less than six occasions with one of his best years coming in 2015 when he finished second in the Senior and third in the Superbike and ahead of household names such as Ian Hutchinson, Guy Martin and Michael Dunlop. His fastest lap around the Mountain Course is an impressive 132.414mph which currently makes him the fifth fastest rider of all time. One of the most impressive aspects of his TT career is his finishing record, failing to see the chequered flag just three times in 50 race starts. He’s won 43 silver replicas and four bronze and has finished in the top ten in ever race bar two since 2012, a testament to both his riding ability and his team’s preparation. In terms of the North West 200, James has four podiums to his name, coming second in the Lightweight race twice and third in the Superstock and Supersport races. The most recent podium came in 2017 when he finished third, behind Martin Jessopp and Ian Hutchinson, in the opening Supersport race. James is regarded by many as a naturally talented rider due to his consistency and the way he was able to compete with the best since the start of his road racing career. 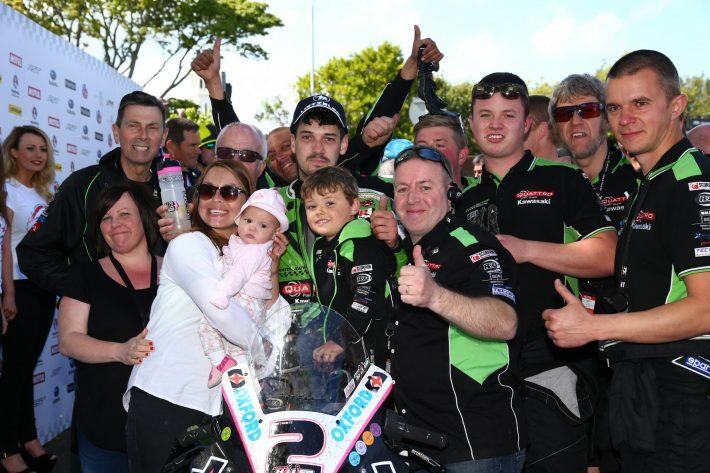 Hillier had a successful North West 200 on the Quattro Plant / JG Speedfit Kawasaki, achieving 2nd place in both Supersport races, with a top lap speed of 117.078mph. Another highlight of James’ NW200 campaign was the 5th place finish in the opening Superstock race before going on to take eighth in the second. He also took a brace of ninths in the two Superbike races. The two podiums set Hillier up nicely going into the 2018 Isle of Man TT races where he achieved another duo of podium finishes, coming 3rd in both the Superbike and Supersport 2 races. Another consistent TT week for Hillier saw him place 4th in the Supersport 1 and 5th in the Superstock race, the former seeing him miss the podium by less than two seconds. 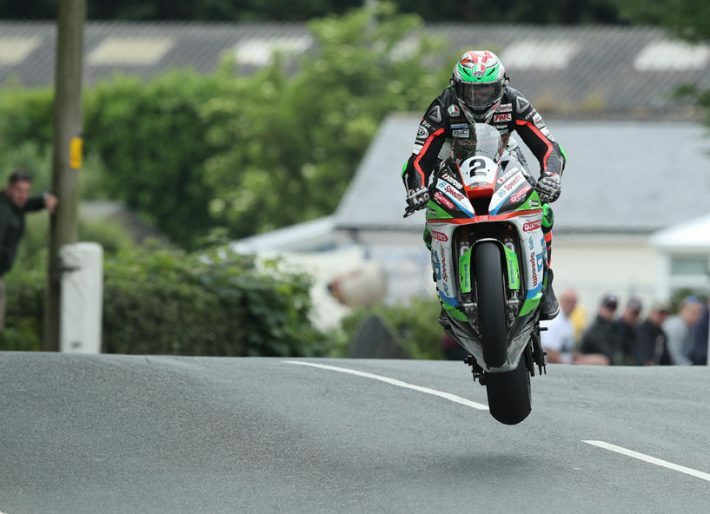 The closing Senior race ended in disappointment for Hillier though when, lying in fourth after the first timing point at Glen Helen and chasing Michael Dunlop for 3rd, the bike bottomed out at the Bottom of Barregarrow causing him to retire from the race. Hillier returned to the Isle of Man for the Classic TT, placing 7th in the Senior race on the 1971 Honda CB500/4, in the race won by John McGuinness although he was forced to retire from the Superbike race after hitting problems on the Oxford Products Ducati on the opening lap.